So much of what is labeled as “love” in our world can sometimes be anything but. And, sometimes, when it does appear, it can be hard to recognize. Especially for those who have rarely received love in its true form - people like Gayla. It was a chilly night in Alaska when she climbed into the back of a cab outside her house. 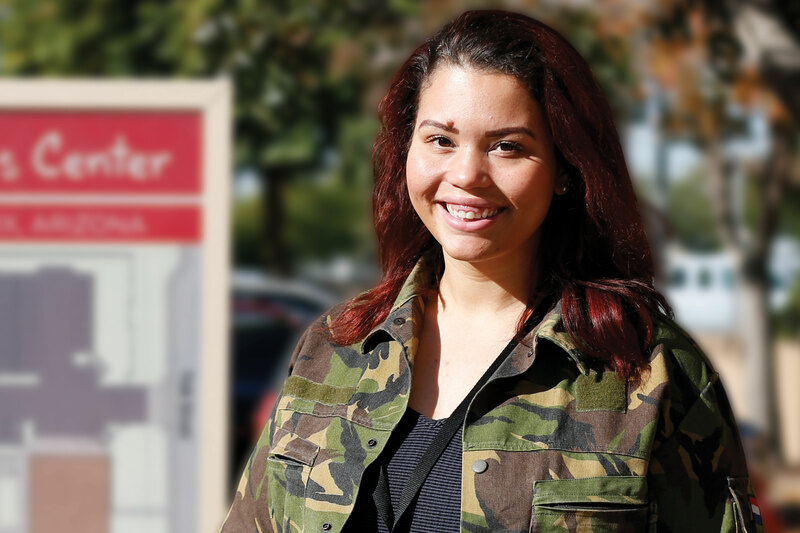 Her mother handed the driver a $50 bill and told him, “I don’t know where you are taking her, but she can’t stay here.” She was 16 years old – and now she was on her own. The cab driver took her to a motel that, unbeknownst to Gayla, was less than reputable. She met a guy there who offered what she thought was love and a place to stay, but the relationship soon turned abusive. Not knowing what else to do, she reached out to her estranged father who offered to pay for a ticket to Arizona. And then things got worse. “When I got here, I didn’t have the tools I needed to live. I didn’t know how to deal with emotions or stress. My answer to everything was to party and smoke marijuana. I got a job and found some friends who thought the same way. They introduced me to harder drugs and I was addicted.” Shortly after, Gayla found out that her father’s home was to be foreclosed. She was back to being homeless and was on and off the streets, in jail or doing drugs. But there was a bright spot through it all. 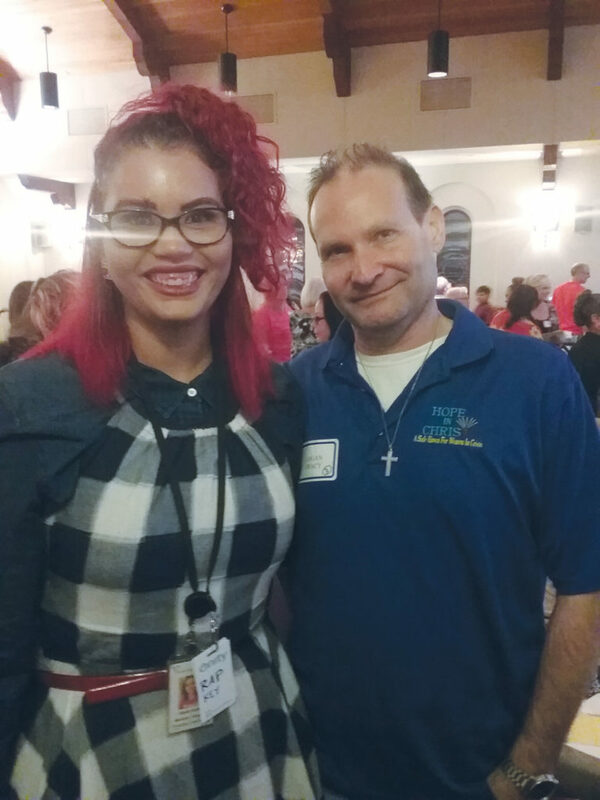 While on the streets Gayla came in contact with real love, even though she didn’t recognize it, in the form of the Hope Coach and a special volunteer named Logan Tracy. “At first,” says Gayla, “I would ignore them, but they were very persistent. 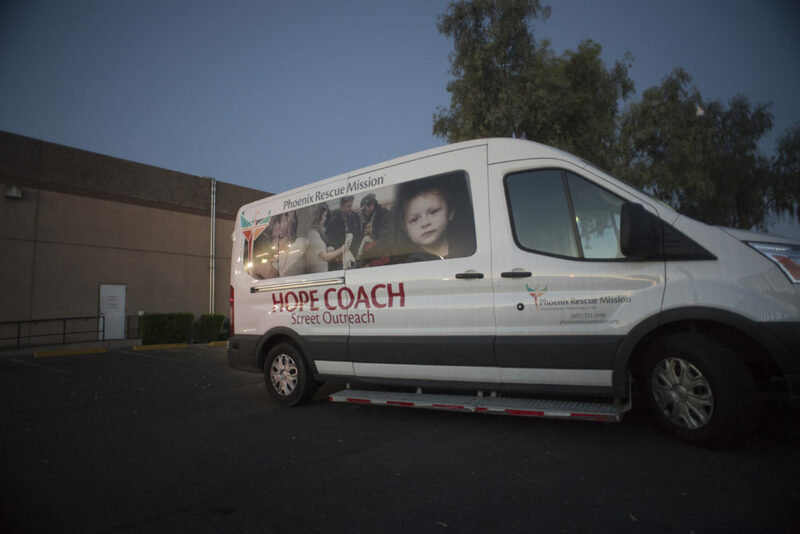 Each time she was released from jail, there it was – the Hope Coach. You could say, at that point, it was the only consistent thing in her life. It made an impression. She found a place to sleep in a nearby park. Frustrated with herself, she reached out to God. “I looked up into the sky and prayed, ‘Please help me, I don’t want this life anymore. But every time you provide a way out, I don’t take it. Give me the strength to take the opportunity.’” The next morning, the police arrested her for sleeping in the park. “I didn’t get mad. That was the first time I surrendered and just said, ‘Lord, have your way. This is what I prayed for. Thank you for answering my prayers.’ I went to jail for the last time of my life.” When she was released, Gayla made a beeline for the Phoenix Rescue Mission. “And here I am! A year and a half later. It’s a blessing! I talk to my family now. My mom drinks less; she’s trying to stop. The rest of my family are great people but they’ve never given their lives to God – now they’re starting to go to church! 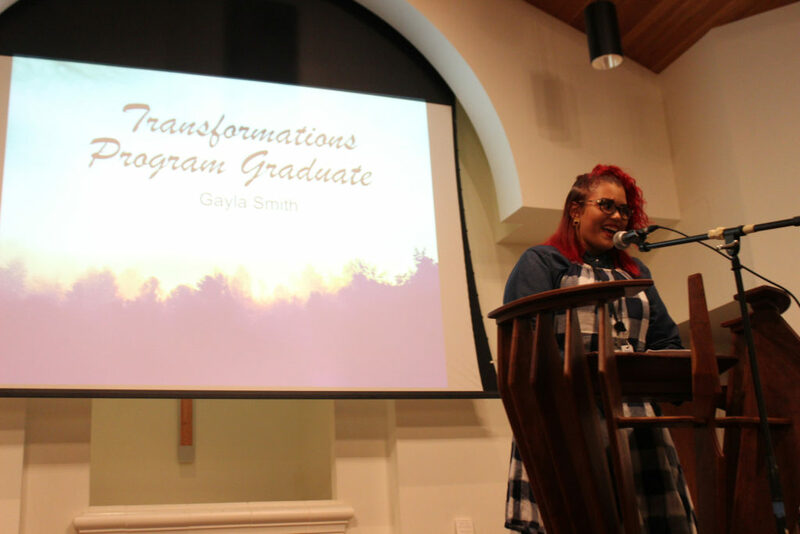 They see that my life has been completely transformed so they’re testing it out for themselves.” Thanks to your support and the work of our counselors and staff, Gayla found the real love she had been missing from her life for so long. Today she is sober and a graduate of our recovery program. No one was prouder of Gayla at graduation than Logan Tracy, who had been praying to see that day for years! She’s currently enrolled in our rigorous Ministry Training Program and is completing her second semester of college, majoring in Psychology!